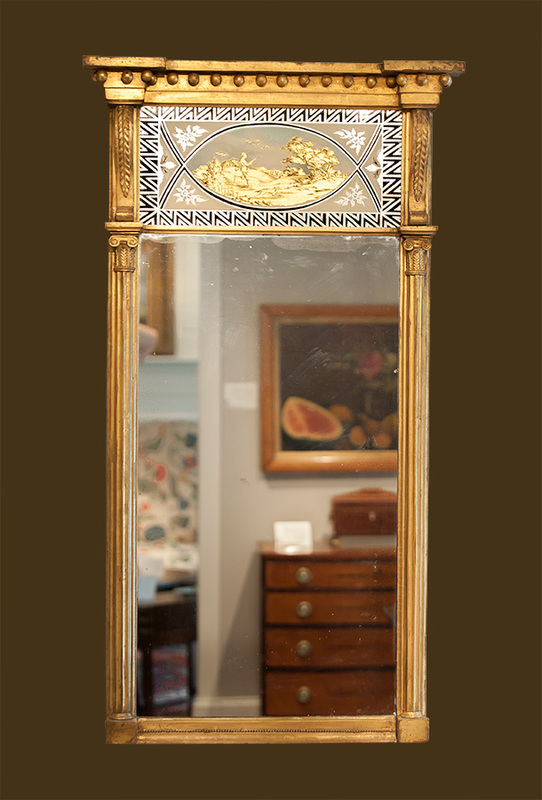 George-III Walnut Parcel Gilt Mirror, The Mirror Plate Within Gilt Leaf Carved Edge, Inlaid veneered Walnut Within the Conforming Frame, Outer Gilt Border, England, Circa 1740. 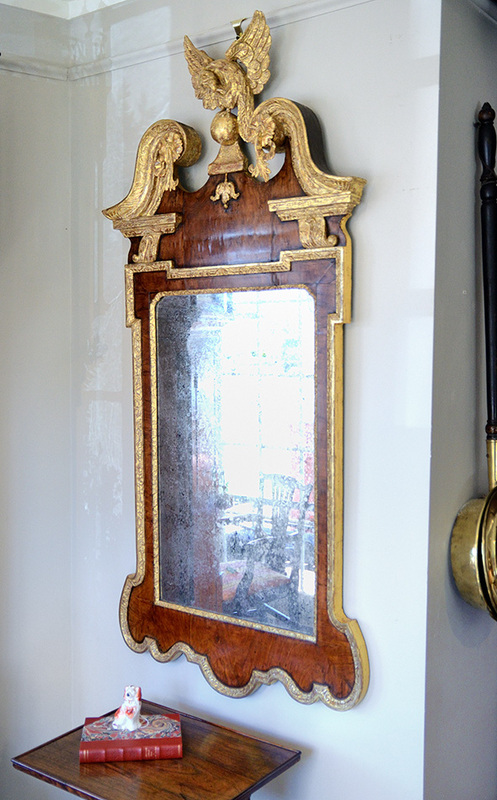 George III Mahogany Parcel Gilt Mirror has C-Scrolled Crest Centering A Pierced Carved And Gilt "Fleur-De-Lis" Above A Mirror Plate. 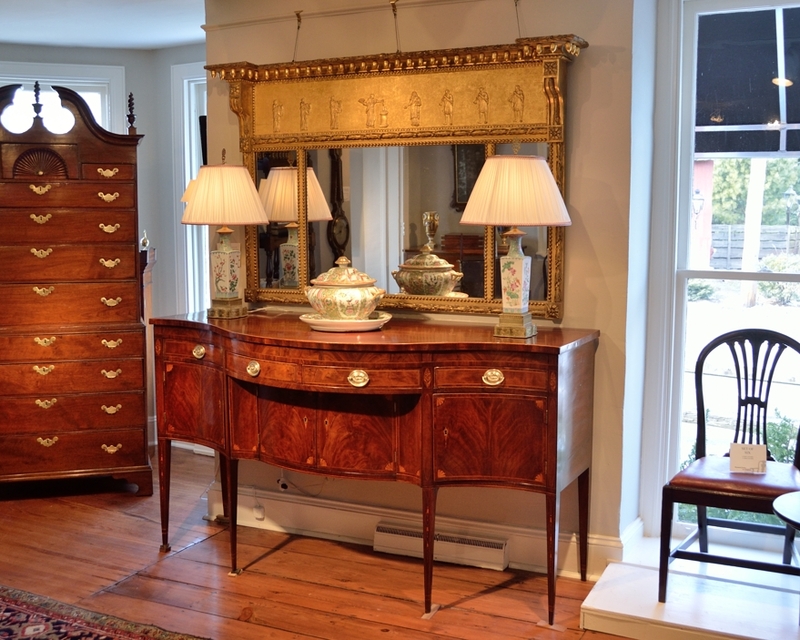 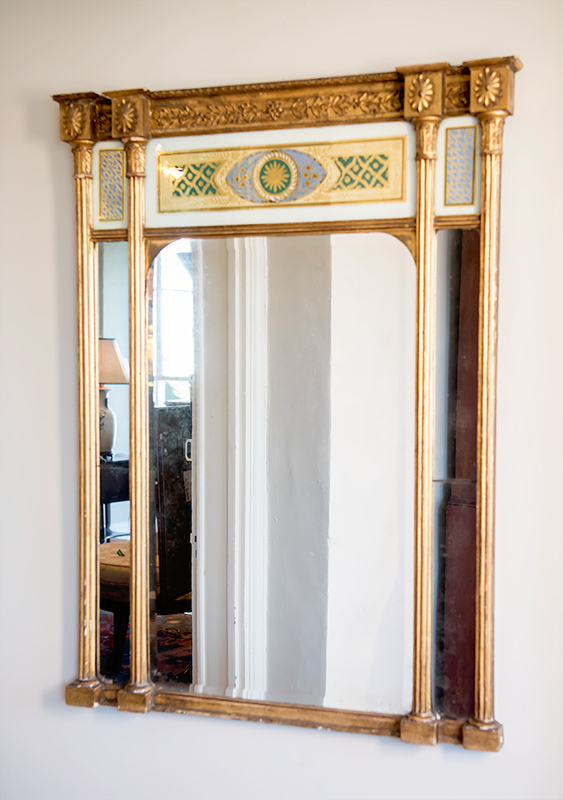 Great Detail And Beautiful Quality Make This Mirror An Exceptional Choice For Any Room Design. 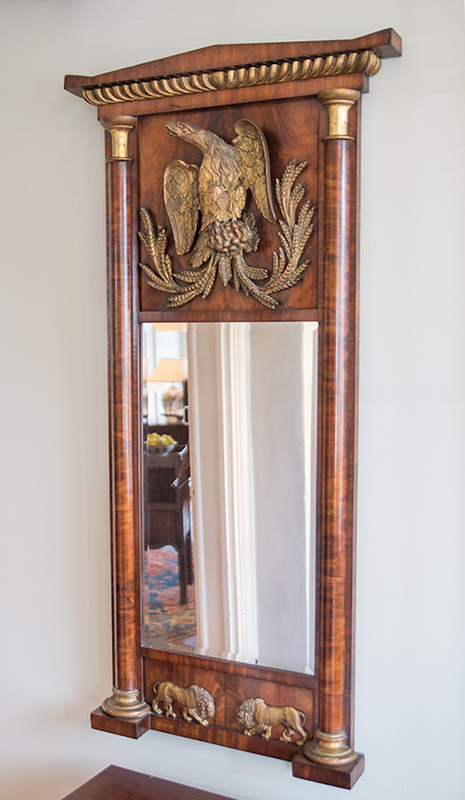 George III Parcel Gilt Mirror A Fine George III Mahogany Carved the Gilt-Carved Wing-Spread Phoenix, Resting On A Tree Branch With Pierced Carved C-Scrolls. 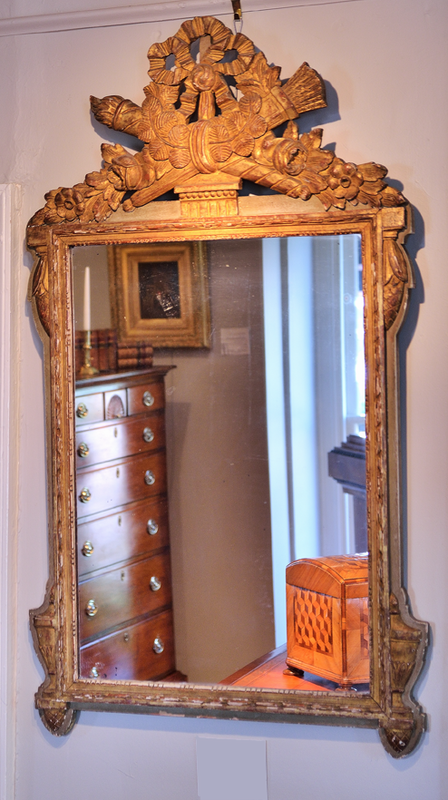 Louis XV Style Gilt Carved and Painted Mirror.